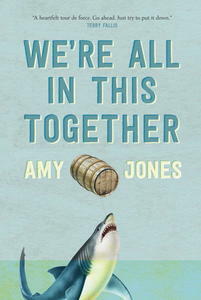 Here at 49th Shelf, we're pretty big fans of Amy Jones's debut novel, We're All In This Together. It makes an appearance on our CAN'T FAIL Summer Reading list (in which we declared it "THE book to spend a whole day in a hammock reading while one is mildly hungover"), and don't miss Trevor Corkum's interview with Amy from last month for The Chat. With this list, Amy is determined to set Google straight when it comes to the query of "Books Set in Northern Ontario." And if the list is a sundae, her own book is surely the cherry on top. The number one related Google search to “Books Set in Northern Ontario” is “Is Toronto in Northern Ontario?” The answer, of course, is no, but given Northern Ontario’s sheer size, it’s pretty much the only part of Ontario—along with a few other cities we like to refer to up here as “down south”—that isn’t. Equally massive is the number of books set in the region. Here are eight to start with. Michael Christie’s debut novel about a boy raised by an agoraphobic mother is set against the backdrop of the streets (and abandoned grain elevators) of Thunder Bay. More about the book: Will has never been outside, at least not since he can remember. And he has certainly never gotten to know anyone other than his mother, a fiercely loving yet wildly eccentric agoraphobe who panics at the thought of opening the front door. Their world is rich and fun- loving—full of art, science experiments, and music—and all confined to their small house. For Saul Indian Horse, taken forcibly from his Northern Ontario home when he's sent to residential school, salvation comes for a while through his incredible gifts as a hockey player. But in the harsh realities of 1960s Canada, he battles obdurate racism and the spirit-destroying effects of cultural alienation and displacement. More about the book: Saul Indian Horse is dying. Tucked away in a hospice high above the clash and clang of a big city, he embarks on a marvellous journey of imagination back through the life he led as a northern Ojibway, with all its sorrows and joys. With compassion and insight, author Richard Wagamese traces through his fictional characters the decline of a culture and a cultural way. For Saul, taken forcibly from the land and his family when he's sent to residential school, salvation comes for a while through his incredible gifts as a hockey player. But in the harsh realities of 1960s Canada, he battles obdurate racism and the spirit-destroying effects of cultural alienation and displacement. Set in Fort William in 1941, The Factory Voice is a quirky, light-hearted mystery about the daily lives of four female employees of a military aircraft factory. More about the book: Wrapped around the stories of these four women, is a mystery. Something’s gone wrong with the Mosquitoes being built for the war effort - they keep crashing in flight tests, for no apparent reason. Is the problem with their design, or are they being sabotaged? By whom? The traitorous Red Finns? The political subversives who have recently escaped from one of the nearby prison camps? Everyone’s on high alert and “The Factory Voice” keeps abreast of the details or at least the rumours. Rich with 'forties language and imagery, especially the sights and sounds of an assembly plant, The Factory Voice is a quirky, light-hearted mystery about the daily lives of factory workers and in particular of women in a time of transition, both for their personal lives and for the society in general. In this book—both a coming-of-age novel and a series of teachings about Anishinaabe traditions, history, and culture—protagonist Abby, who has always lived in town with her grandparents in Thunder Bay, must move back to her mother’s house on Bear Creek Reserve when her grandfather becomes ill.
More about the book: Abby is having trouble fitting in at Bear Creek Reserve. After having lived most of her life with her grandparents in town, it's definitely a transition moving back to the reserve. When Choom, her grandfather, falls ill, Abby must leave her best friends at school, her supportive grandparents, and her perfect pink bedroom, and adjust to living with her mom. But it's not only being back with Mom that is hard - there's a new father, John, a pesky half-brother, Blink, a schoolroom full of kids who don't know her (and don't seem to want to, either), not to mention a completely different way of life that seems so traditional, so puzzling and complicated. But, with the help of the reserve's chief, Paulie, a puppy named Ki-Moot, and her parents' vision of a sled-dog tourist venture, Abby slowly begins to find her rhythm at Bear Creek. All she has to do is follow the dog tracks. 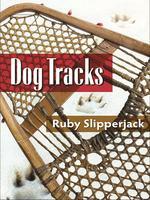 In Dog Tracks, Ruby Slipperjack writes the story of those who return to the reserve and rediscover their culture. The book is both a celebration of Abby's youthful determination and a series of teachings about Anishinawbe traditions, history, and culture. Woven into Abby's narrative of self-discovery, and perhaps integral to it, are the teachings of Elders and parents, knowledge of hunting, fishing, berry-picking, and living on and with the land - all drawn from Slipperjack's own knowledge of the land and her people. This 1997 Governor General’s Award-winning novel about a successful artist and his model, a waitress from Silver Islet, is partially set in the historic Northern Ontario mining town. More about the book: The Underpainter is a novel of interwoven lives in which the world of art collides with the realm of human emotion. It is the story of Austin Fraser, an American painter now in his later years, who is haunted by memories of those whose lives most deeply touched his own, including a young Canadian soldier and china painter and the beautiful model who becomes Austin’s mistress. Spanning decades, the setting moves from upstate New York to the northern shores of two Great Lakes; from France in World War One to New York City in the ’20s and ’30s. Mary Lawson’s debut novel is set in a small farming community in Northern Ontario, and centres on the Morrison family and the events following the death of their parents. More about the book: Luke, Matt, Kate and Bo Morrison are born in an Ontario farming community of only a few families, so isolated that “the road led only south.” There is little work, marriage choices are few, and the winter cold seeps into the bones of all who dare to live there. In the Morrisons’ hard-working, Presbyterian house, the Eleventh Commandment is “Thou Shalt Not Emote.” But as descendants of a great-grandmother who “fixed a book rest to her spinning wheel so that she could read while she was spinning,” the Morrison children have some hope of getting off the land through the blessings of education. Luke, the eldest, is accepted at teachers college—despite having struggle mightily through school—but before he can enroll, the Morrison parents are killed in a collision with a logging truck. He gives up his place to stay home and raise his younger sisters—seven-year-old Kate, and Bo, still a baby. It is 1919, and Niska, the last Oji-Cree woman to live off the land, embarks on a three-day journey through the stark but stunning landscape of Northern Ontario to bring home her nephew, a World War I soldier who is now addicted to morphine. More about the book: As Niska slowly paddles her canoe on the three-day journey to bring Xavier home, travelling through the stark but stunning landscape of Northern Ontario, their respective stories emerge—stories of Niska’s life among her kin and of Xavier’s horrifying experiences in the killing fields of Ypres and the Somme. 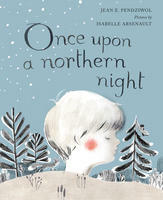 Jean E. Pendziwol’s gorgeous children’s book about the beauty and wonder of a northern night was shortlisted for the Governor General’s Award and TD Canadian Children's Literature Award. More about the book: In this exquisite lullaby, the beauty and wonder of a northern winter night unfold, with images of a soft snowfall, the wild animals that appear in the garden, the twinkling stars, the gentle rhythm of the northern lights and the etchings of frost on the window pane. A woman goes over a waterfall, a video goes viral, a family goes into meltdown—life is about to get a lot more complicated for the Parker family. Like all families, the Parkers of Thunder Bay have had their share of complications. But when matriarch Kate Parker miraculously survives plummeting over a waterfall in a barrel—a feat captured on a video that goes viral—it's Kate's family who tumbles into chaos under the spotlight. Her prodigal daughter returns to town. Her 16-year-old granddaughter gets caught up in an online relationship with a man she has never met. Her husband sifts through their marriage to search for what sent his wife over the falls. Her adopted son fears losing the only family he's ever known. Then there is Kate, who once made a life-changing choice and now fears her advancing dementia will rob her of memories from when she was most herself. Set over the course of four calamitous days, Amy Jones's big-hearted first novel follows the Parkers' misadventures as catastrophe forces them to do something they never thought possible—act like a family.